This lesson describes how to import a plan into Hexawise from Excel files and/or Mind Maps. The Excel-related "XML 2003" or "XML 2004" formatting limitation imposed on you as a user here is admittedly a little bizarre. You have been warned! 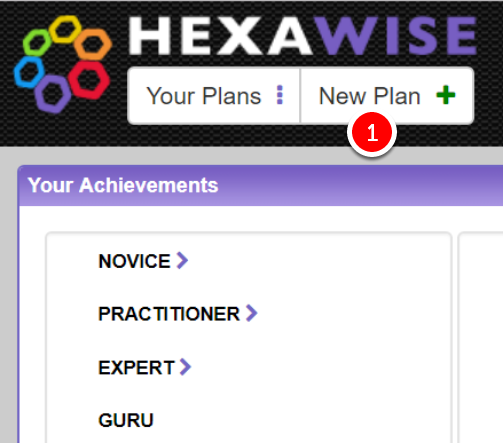 Hexawise allows you to import all of the types of details you might have in your plan. The import feature is straightforward but fairly inflexible. This importing feature is not as forgiving or flexible as we'd ultimately like it to be. For now, you've got to play by its formatting rules, and its got some persnickety ones. To avoid any formatting complications when importing Excel files, you should "round trip" test plans from Hexawise, then into Hexawise. Export a plan from Hexawise (with Value Expansions, Invalid Pairs, Married Pairs, Required Scenarios, Auto-Scripts, and Expected Results if you'll be using them). Make your edits being sure to keep the same file format when you save edits, and import the file back into Hexawise. 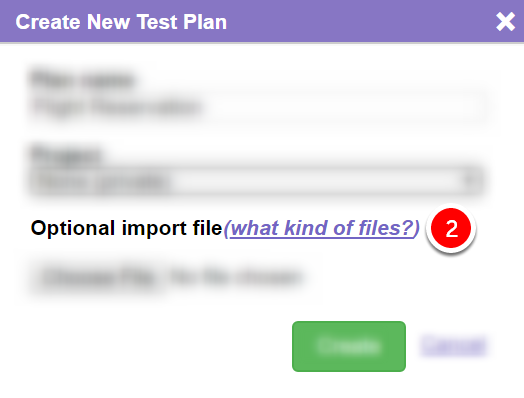 When we create new large test plans from scratch, we don't usually start in the "Inputs" screen of Hexawise. Instead, we create Mind Maps while we put our thoughts together about possible test inputs to include in our plans. 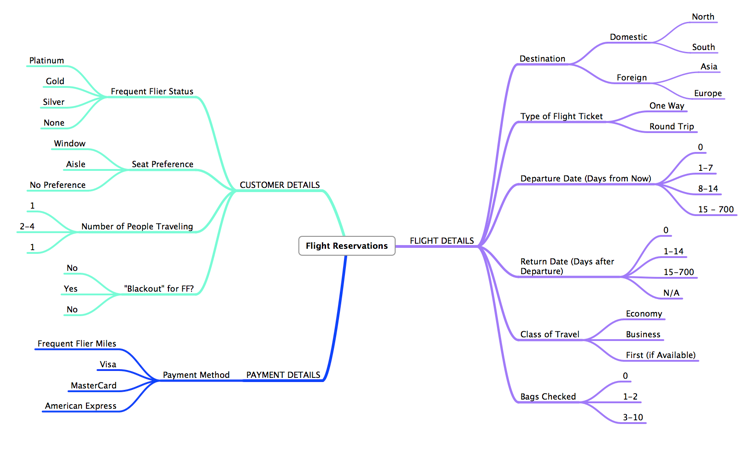 Mind maps are easy to use, visual, quick to modify, easy to get feedback on from others. Also - whether or not it's actually the case - when we use mind maps to gather our test design thoughts, it tends to make us feel more creative. 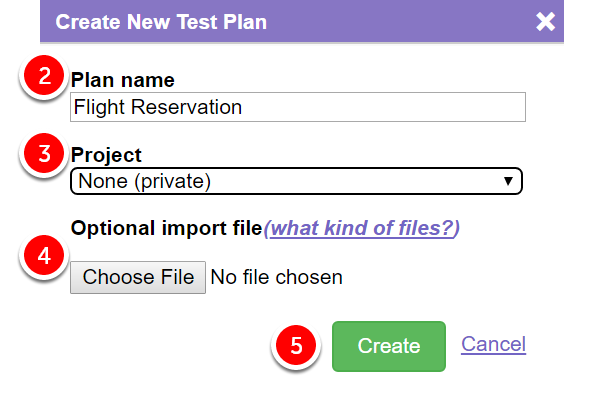 Basic Hexawise test plans only have two levels of test inputs: Parameters and, underneath them, Values. The all-caps levels and the fourth level shown above (for Value Expansions) are purely optional. 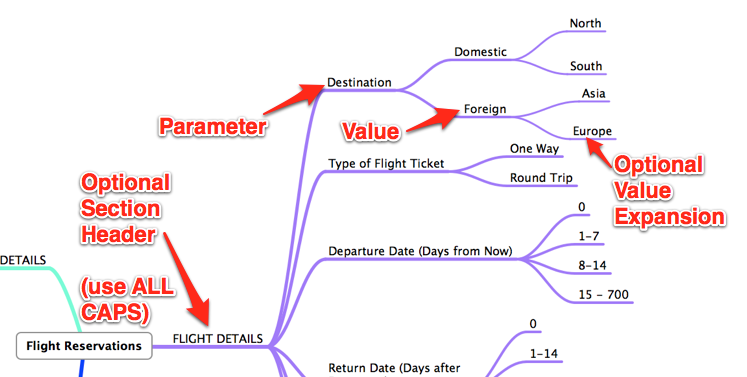 Parameters and Values (as well as Section Headers and Value Expansion details) can be imported into Hexawise from Mind Maps. 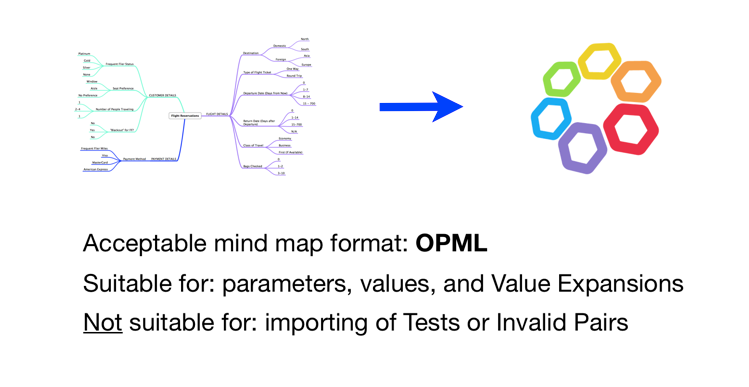 Other test plan information such as Invalid Pairs, Married Pairs, Test Cases, Requirements, and Auto-Scripting instructions, and Expected Results cannot be represented in Mind Maps or imported from Mind Maps into Hexawise. 2) Name the new plan. 4) Select the file to be imported. 1) Click "New Plan" in the top left-hand corner. 2) Click "what kind of files?" next to "Optional import file." 3) Read the "Import File Help" page. 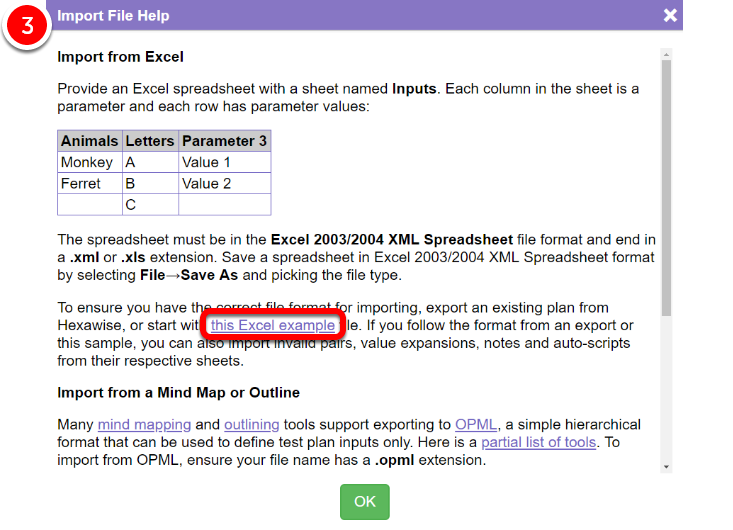 a. Optionally download the easy-to-modify template by clicking "this Excel example." Using this approach will help keep your file in the format that Hexawise expects it to be. 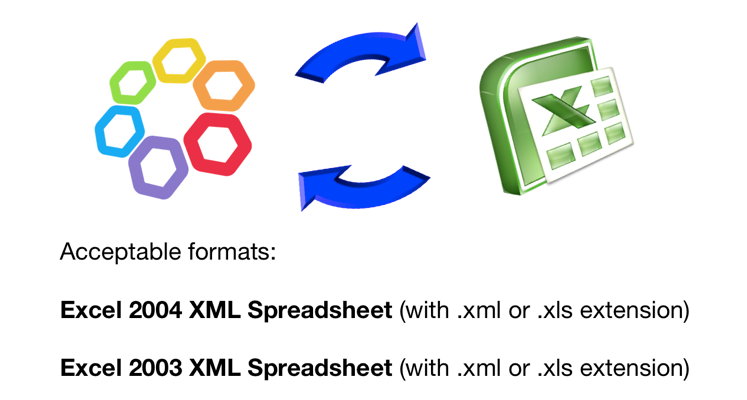 Remember, (a) the only acceptable file formats from Excel are (i) Excel 2003 XML Spreadsheet or (ii) Excel 2004 XML Spreadsheet, and (b) this feature is still pretty inflexible. If you've tried these instructions and you still can't get the file to import properly - perhaps getting a message saying something like: "You are not allowed to upload "pdf" files, allowed types: ["xls", "xml", "opml"] " or " Unable to Create the Plan could not import the file you provided. Please check that it is in the proper file format and that it contains the necessary information." - then please email your Excel file to Support at Hexawise and we'll try to help you upload it into your account.